Even if you only have a small advantage, son, take care not to lose it: at best the hypothesis is considered silly. 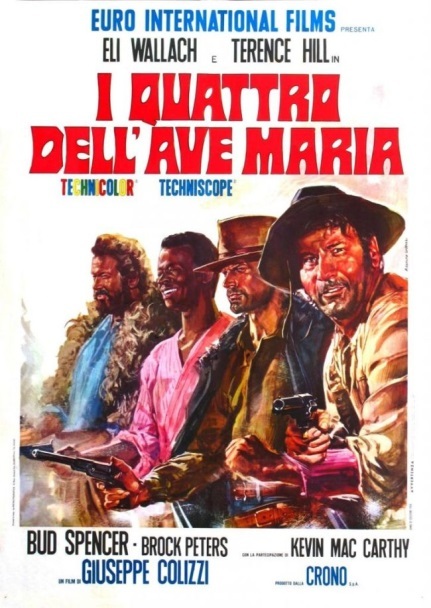 Doc (Terence Hill) and Hutch (Bud Spencer) discover that the director of a bank was complicit with the fierce bandit who had tried to kill them and instead had been eliminated by them. After the two extort the reward for having brought the spoils of which in fact he was an accomplice, the banker hires a death row inmate to make them pay and to recover the money. Cacopoulos, the convict who was betrayed years earlier by the same bank director, after stealing the reward money will eventually unite with the two to take revenge on the other two friends who betrayed him.